January has ended and I’m still looking back at the things I did but haven’t written about. Work has started and I am by now almost accustomed to the daily routine. 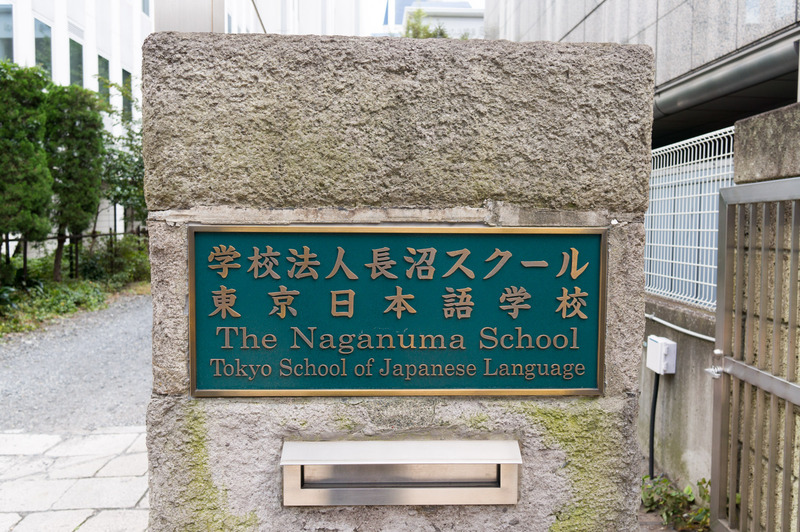 Today I’d like to look back at the 4 months I spent learning Japanese at the Naganuma School in Shibuya, Tokyo. As always, hindsight is 20/20. Had I known I will mostly be speaking (maybe struggling to speak is more accurate) Japanese at work I would have put even more effort into it the studies. I did put in a lot, but one can always improve. Overall I can say I have learned more Japanese than I ever thought I would end up knowing. I am pretty much able to function in Japan, something I was sceptical about after a few weeks in Japan in September. At least as long as I don’t have to read anything. Naganuma School felt like being in high school again. Every morning I had to wake up early, ride to the neighbouring town and spend most of the day there. There was homework, tests, and lots of fun. When you’re finishing your homework still half-asleep while having breakfast and cramming for a Japanese conversation test it doesn’t seem quite as full of fun, but that just makes the good times all the better. Exactly like high school, apart from the scale – two Slovenian towns can hardly compare to Kawasaki and Tokyo. There’s one part I will definitely not miss. I was counting down the days to when I last had to go to school during the infamous Tokyo rush hour. I’ve been to crowded places before (concerts, school cafeterias) but the rush hour is a different kind of beast and a testament to the power a crowd can produce. I am larger than the average Japanese man and never really expected I’d be pushed around exactly the same as a tiny Japanese schoolgirl. During the absolute peak of rush hour trains are packed to 200% capacity or higher. While I never experienced things quite as bad as in this video people getting their bags or even themselves pushed in was pretty much a daily occurrence. I was always surprised when after I was sure I was the last to get on the train at that entrance, 6 or 7 more people somehow managed to squeeze in after me. Being tall had some advantages, at least I wasn’t resting my head on anyone’s sweaty armpit. I missed the worst August heat but in September the trains still had a special kind of odour and no blasting air conditioning managed to get it out of the carriage. It’s understandable people sweat, it becomes a disgusting problem when it’s so packed you can’t really help touching other people’s sweaty backs. Keep in mind that the photos I managed to snap of the rush hour are not as bad as it gets – when it’s really bad you can’t even move your arms enough to get the phone out and take one. The Japanese also have quite a schizophrenic way of going about their train business. The usual restraint along with mindfulness of personal space and boundaries all goes out the train’s window when they get on. People – from salary men to old ladies and school girls – push and pull to get inside. And once the doors open they do their very best to be the first to elbow their way out. I too don’t want to stay in a crowded carriage for even a second longer than I have to but I know we’ll all get off eventually and don’t feel the need to rush out quite as much as the Japanese do. While I’m faultily generalising by attributing the behaviour of a few to the many I also have to mention the other rush hour I wasn’t familiar with before coming to Japan – the last train rush hour. I’m not sure I’ve mentioned it on the blog but trains stop running from about midnight to 5am every day and it is quite possible to end up stranded somewhere until morning. The last trains are full of people finally heading home after staying at the company for way too long and/or people who’ve had a bit too much to drink. The Japanese have a superpower (and I’m hardly exaggerating here), they can fall asleep anywhere, at any time, and in any position. This is how you end up with a drunken Japanese guy sleeping or even drooling on your shoulder and you can’t even move to shake him off. I went on a bit of a tangent, I want to come back to the good parts of school life. We’ve had quite the amazing teachers. A set of around 8 kept changing on an almost hourly basis so that students wouldn’t get used to just one person’s manner of speaking. Split into classes with between 5-7 people we mostly focused on speaking and listening, reading and writing happened at home, during homework. There were 6 hours of lessons per day and enough homework to keep us busy for another hour or two. We were also tested on our progress biweekly and if anyone started falling behind they found themselves swamped with additional homework. Truly like high school. Vulcanus group shot with most of the teachers. The course we followed was intense to say the least. We were learning new grammatical structures almost every day along with 40-50 new words and also a few new kanjis. While not too terrible at the start I quickly found myself forgetting words I had learnt a few weeks ago. This was a vicious cycle I never really managed to escape, it was too much with not enough time to actually master it all. But mastery was not really expected of us, we were given tools and a basis to build on in the future and I’m glad I can take a look back at the books and notes, still finding a lot to learn and revise. In addition to that the school tried to prepare us for everyday situations we might come across at work, such as exchanging business cards or proper Japanese etiquette at meetings and in elevators. The Vulcanus in Japan team also organised special lectures to introduce us to Japanese history, religion, and business practices. There were also school events like calligraphy practice, making Japanese sweets for tsukimi (moon viewing) that included a practice shopping trip to a nearby supermarket, and field trips such as the one to the disaster centre I’ve mentioned before. I unfortunately caught a cold when the classes headed to the Open-air history museum. Another high-school-like part was meeting the same group of people of roughly the same age every day in class and outside. Before some of the Vulcanus were sent as far as Kitakyushu after New Year’s we were all relatively close to Tokyo and hung around. One of the more interesting parts were lunch excursions to affordable gourmet places the school’s vicinity had to offer. Some of the delicacies were already posted here, some of the fun times with friends were as well. It has been quite a change in January but we still try to meet up in smaller groups during weekends and sometimes even on weekdays. The 4 months concluded with a big Christmas party at Naganuma (in case any reader’s interested in seeing and hearing a makeshift choir with a week of practice here’s Vucanus’ performance) and final Japanese presentations in at some EU building in Tokyo. I’m grateful for both the knowledge and the good times. With that high school is over (again) and work has begun. In addition to working hard I’ll work hard to find more time for the blog as well. I still have quite a backlog to clear and many more things I still want to write about! Well, it’s been a while. Here are some shots of what I was up to in November and December while not studying Japanese. They come from locations near me, Yokohama, Kawasaki and of course Tokyo. Trying to catch some proper Japanese autumn colours we headed to Hakone, a popular resort not too far from Tokyo. The following photos are from the two days there. I like owls. I’d be hard pushed to point out the exact reason why but I do. When I found out about owl cafes in Tokyo a trip there ended on my bucket list. After a visit to Fukuro no Mise (the owl shop – not selling owls though) I can scratch that off. It’s a lovely cafe in the Tsukishima area of Tokyo but I don’t even remember how the coffee in there tasted. I do remember the amazing monja and okonomiyaki we had while waiting for our turn at the cafe, the visit lasts about an hour. It’s a small place, fits around 15 people at a time and because of that you have to show up during the day to reserve your seat at some point in the afternoon. Luckily, there’s enough to do and eat at the nearby monja street – the other reason people visit Tsukishima. I’ve seen photos of the place before but I was still very surprised by the sheer number and size of some of the owls present. We were sat down and received instructions on proper owl petting and handling along with a fair warning that the owls are not potty trained. After the explanation we were invited to explore the place, the room is divided into two parts, the small owl’s part and the part for the large ones, presumably to prevent these birds of prey from feasting on their smaller siblings. This is where my reactions became quite like those of a very enthusiastic Japanese girl, sans the high pitched screams of sugoi. I haven’t touched an owl before in my life and was surprised to learn they are quite light and very soft. The ones are sort of domesticated and have their talons and beaks filed down to prevent damage to customers. They do like to bite on things and we wouldn’t be putting them on our heads if we felt like that could cause some permanent damage to our scalps. We took lots of photos, petted all of the owls, and avoided two close calls with the lack of potty training. Luckily the owl gets sort of restless beforehand and I managed to stretch my arm out. But even if we ended up pooped on it was an amazing time. Because time flies when you’re having fun the 45 minutes of owl time were over too soon. They need rest before the next group of eager owl fans arrives! 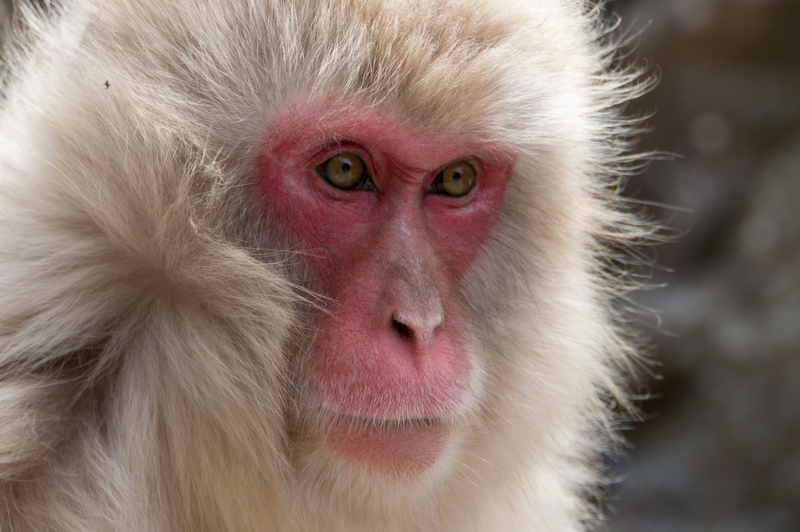 I’m staying in Japan for a while, I’ll hopefully find the time to return to Tsukishima for both the food and the owls. Well, I’ve been a bit busy/lazy and now it’s time to try and catch up. I could write a thing or two every week but I just can’t seem to find the time to do it so I’ll be glancing over some things I wanted to write a whole post about but haven’t found the time for. Tokyo has an absolutely incredible amount of weird places to go to and caters to all whims and wishes. Here are two of those: first a cat café, a place where you pay a bit more for your coffee to be surrounded by cats, and a horror/prison restaurant, where you pay to be scared. The table is in a jail cell, everything served is at least a bit suggestive and every hour they turn the lights off, the stroboscope on, and let loose staff in horror masks that try to scare the drinks and dinner out of you. Cat paradise if it weren’t for the pesky tourists trying to pet them. The school took us to a disaster awareness and training centre where we came to know what to do during earthquakes, typhoons, and fires. The centre provides a hands on experience so it was both fun and very sobering, especially the earthquake generator. One Sunday morning I was woken up by drums and after looking through the window realised a local festival was happening! The festive entrance to the local shrine. I also returned to Enoshima Island for a fireworks festival. I’m used to fireworks lasting around 10 minutes so a 45 minute show was something I definitely wanted to see! It sure was worth it, absolutely amazing, especially the choreographed parts (here’s the finale, at the 2min mark the largest one goes off). I tried taking photos but firework photography proved hard! Here are some more random photos that I think are worth sharing. 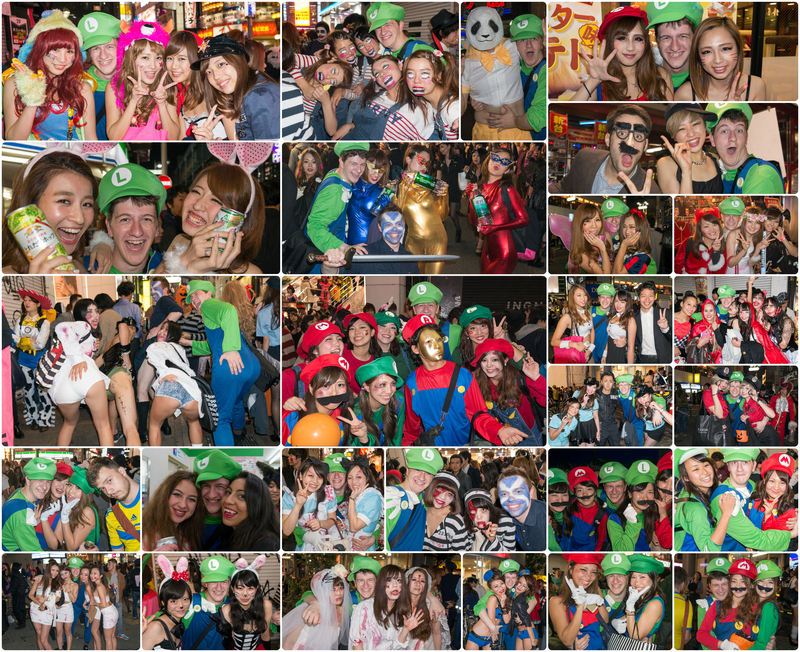 October concluded with Halloween… The Japanese like to dress up and because of that Halloween has been growing in popularity in the last years, getting bigger and bigger. This year in Shibuya it was the largest party, some say better and larger than New Year’s Eve, Japan getting the Olympics, and important Japanese football matches. I can’t compare it to other events but it’s by far the biggest outdoor party I’ve been to. And the most fun for sure.